The day begins at Mount Litera Zee School DHR every morning at 8.30 am, Monday to Friday, with a 10 minutes morning assembly. 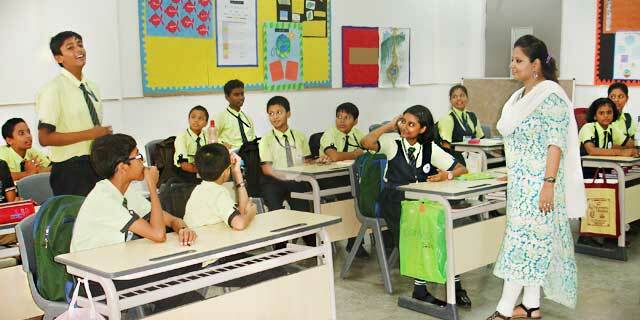 'Thoughts for the day' are exchanged and children dash to their classrooms full of energy! There are 8 periods conducted every day, with a short mid-recess and a good lunch break in between, enjoyed by all students by way of wholesome canteen lunch and lots of games! The school finally gives over at 2:30 pm. The school remains closed on 2nd and 4th Saturdays and all Sundays. Thy name shall ring out, near and far. As we stand out in a crowd. We live our lives with dignity. As we reach out for the stars. Will ensure us a bright future. True to this oath forever. Before I begin this day. As I go from duty to duty. May be blessed by you. Go against Your Holy Law. You are unique, my potential inside. You define me, my potential inside. I shall achieve you, my potential inside.